Embracing the simplicity of the modern form, the clean, sensible lines of the Focus collection puts the emphasis on functionality. This Focus 70 single-hole bathroom faucet delivers a water-saving 1.0 gallons per minute with a lift of the single lever handle. 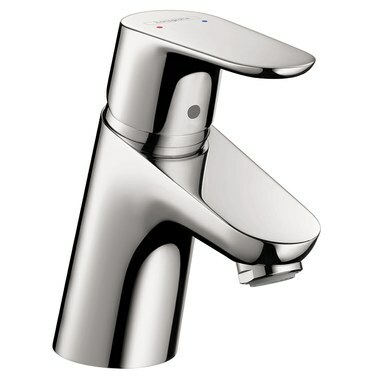 Features an angled spout design, solid brass construction, and a ceramic cartridge. Measures 6-5/8" high overall with a 2-1/8" high spout with a 4" spout reach. Includes mounting hardware.